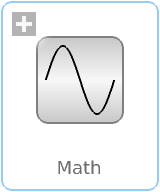 This icon will be removed in future Modelica versions, use Modelica.Math.Icons.AxisLeft instead. This icon will be removed in future Modelica versions, use Modelica.Math.Icons.AxisCenter instead. This package contains basic mathematical functions (such as sin(..)), as well as functions operating on vectors, matrices, nonlinear functions, and Boolean vectors.